One of the many Ute petroglyphs found along the road in Nine Mile Canyon. 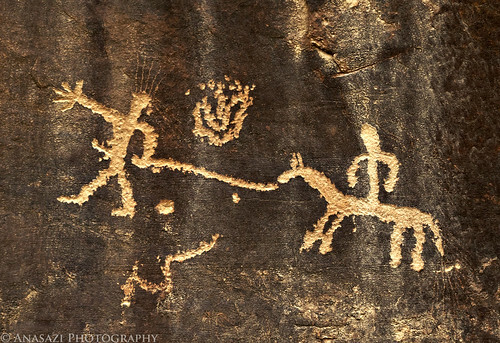 This historic scene features a rider on a horse being led somewhere by someone with a rope. I wonder where they could be headed?